Shania Jones takes over as SGA President at Belmont University in Nashville, Tenn. April 24, 2017. 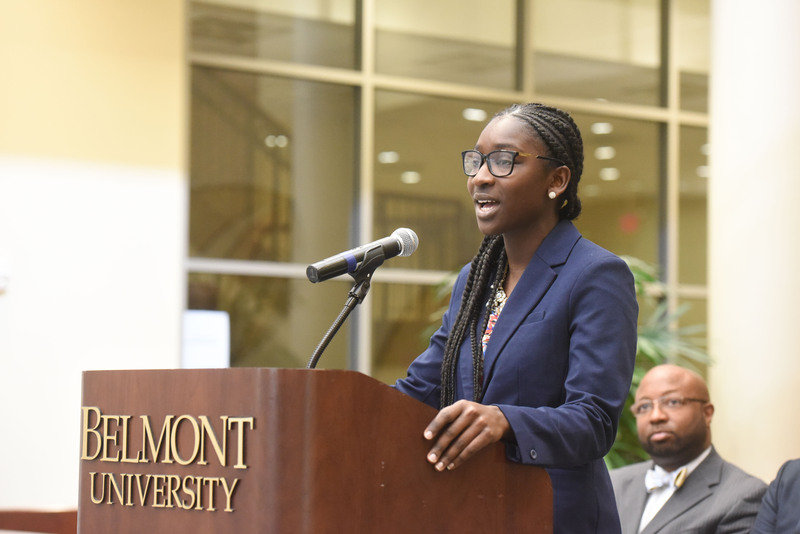 The fall semester will bring with it many new things — including a new slate of officers for Belmont’s Student Government Association (SGA). The campaign process began weeks before elections opened this spring as students began to learn about the candidates who could represent their voices and desires for the upcoming year. Towards the end of the semester, Shania Jones was elected as SGA President, bringing with her Macy Thompson, the incumbent VP. Jones said she’s most excited for the campus collaborations she’ll have the chance to be part of in her new position. Eager to hear student concerns and find creative ways to work towards solutions, Jones will be focusing on three main areas in her time as president — communication, community and safety.